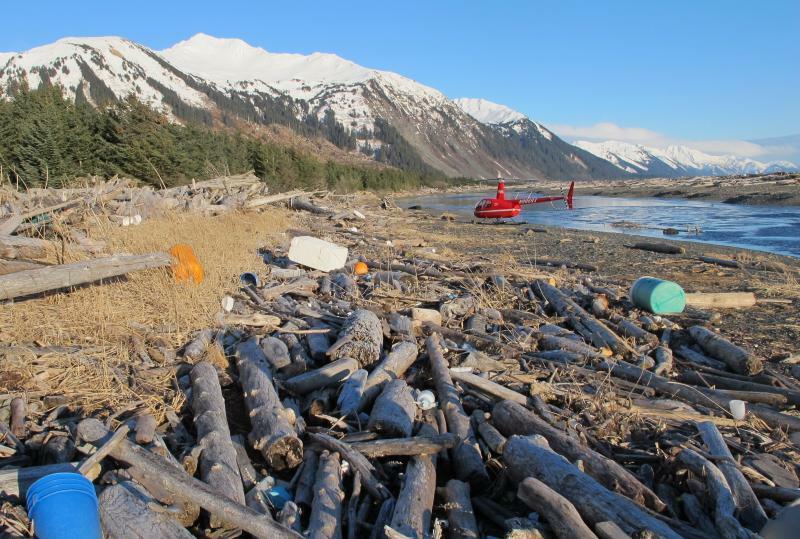 Refrigerators, foam buoys and even ketchup bottles are piling up on Alaska's beaches. Almost two years after the devastating Japanese tsunami, its debris and rubbish are fouling the coastlines of many states — especially in Alaska. At the state's Montague Island beach, the nearly 80 miles of rugged wilderness looks pristine from a helicopter a few thousand feet up. But when you descend, globs of foam come into view. Alaska's Congressional Delegation files Legislation to halt development of genetically engineered salmon and to require labeling if approved. All 3 members of Alaska's Congressional Delegation are sponsoring legislation in response to tentative approval of the first genetically engineered animal intended for human consumption. A story about the lava dome growing in the crater of the Cleveland Volcano. The Alaska Volcano Observatory has raised the alert level for the active Cleveland Volcano in the east central Aleutian Islands. Alaska Governor Sean Parnell has chosen a replacement for Board of Fisheries member Bill Brown from Juneau who resigned last month. The Governor has tapped Reed Moriski from Fairbanks to serve out the remainder of Brown's term that expires in June of next year. The Alaska National Guard rescued 2 teenagers on Wednesday near Bethel after they got stranded on Monday. The teens, age 18 and 16, were on a day hunt near Bethel when they got caught in a blizzard and lost cell phone service. An effort is underway in the Alaska Legislature to find money to finish construction of the engineering buildings on the 2 largest campus's in the University of Alaska system. A effort has been started in the Alaska Legislature to remove references to mental retardation from state policies. A man from Hooper Bay has been arrested for allegedly trying to smuggle alcohol into the local option community of Hooper Bay. A man from Kodiak has been charged with unlawful of landing of salmon in Bristol Bay.